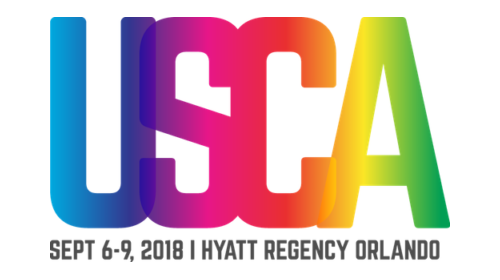 As the Secretary's Minority AIDS Initiative Fund (SMAIF) marks its 20th anniversary, several recently funded projects were featured in a pair of workshops at the 2018 U.S. Conference on AIDS (USCA) last month. Several federal and community partners joined us to present about lessons, resources, and outcomes from those projects. This is the first of two blog posts that will feature highlights from those workshops. The SMAIF is appropriated by Congress each year to support activities that address the disproportionate impact of HIV on racial and ethnic minority populations in the United States. Our office administers that fund on behalf of the HHS Secretary and allocates resources to HHS agencies and offices such as CDC, IHS, HRSA, SAMHSA, and the Office of Minority Health, who design and test innovative HIV prevention, care, and treatment programs to meet the needs of racial and ethnic minority populations through grants to health departments, community-based organizations, health centers, and others. The SMAIF remains very relevant—indeed, vital—given the persistence of HIV-related racial and ethnic disparities in the United States. The activities featured in these workshops illustrated several hallmarks of the SMAIF including innovation, strategic collaboration and partnerships, and lasting systems change. They also demonstrated how the SMAIF continues to be responsive and nimble as the HIV epidemic has evolved, piloting new efforts to address it that integrate the most current strategies to respond to the evolving needs of populations that bear a disproportionate burden of HIV. One workshop featured examples of how SMAIF resources have supported activities to strengthen existing HIV prevention and care systems in Indian Country and build capacity to diagnose and treat patients living with HIV at 22 health centers in four states. Panelists representing several SMAIF-supported activities serving American Indian/Alaska Native populations provided an overview of HIV disparities among Native Americans and shared examples of how SMAIF resources have been used to address them. In one example, Kristopher Fimbres of the Tohono O'odham Nation in Arizona shared how his community has used culturally relevant activities such as talk circles and basket weaving to address HIV prevention and care. In another example, Dr. Crystal Lee of the University of West Florida discussed a community-based research interview project to help tribal communities define and develop their own healthcare services and strategies around injection drug use, HIV, and hepatitis C. The project interviewed people who use drugs as well as healthcare providers from four Tribes in Nevada, South Dakota, Montana, and Oklahoma. The insights gained are now being used to inform planning of new services and modifications to existing policies. Highlights from the Partnerships for Care (P4C) demonstration project that expanded and enhanced the delivery of HIV services at community health centers were also shared during this workshop. The three-year project was a collaborative effort between CDC's Division of HIV/AIDS Prevention and HRSA's Bureau of Primary Health Care that engaged four state health departments (Florida, Maryland, Massachusetts, and New York) in partnership with 22 health centers. The goal of the enhanced health department-health center collaboration was to improve HIV outcomes along continuum of care, especially among racial/ethnic minority populations who comprised a significant portion of each health center's patient base. To achieve this, explained CDC's Raekiela Taylor, who helped coordinate P4C, the project supported the integration of HIV services—from testing through care and treatment—into primary care services offered at the health centers as well as supported the use of interventional surveillance or "data to care" which made use of the health department's HIV surveillance and health center records to identify previously diagnosed individuals who were not in care and re-engage them in HIV care at the health center. Florida also participated in the P4C project, facilitating partnerships between six health centers in five counties with their county health departments, explained David Andreas of the Florida Department of Health. Among the goals of their partnerships were developing replicable models for identifying and retaining patients newly diagnosed with HIV, improving health outcomes for patients living with HIV, and expanding and improving HIV prevention and care services including routine screening as well as primary care and treatment. One measure of success of the project that he pointed to was that at baseline none of the health centers were providing routine HIV screening. As part of P4C the health centers worked to establish protocols, policies, and procedures to make HIV testing a routine part of care. By the end of the project period all six health centers were providing routing HIV screening. In addition, the number of participating health centers providing HIV care doubled from three to six by the end of the project and all six continue to do so now after the project has ended. Another important outcome of the Florida's P4C participation was the establishment of secure bi-directional data transfers to enable data to care activities. The establishment of memoranda of understanding to allow this data sharing between each health center and its county health department was more challenging and time-consuming than anticipated. However, the state health department now has a model template for this that can be shared with other interested counties and health centers. More importantly, the participants have a "P4C dashboard." The system pulls data from multiple sources into the central state health department data warehouse. It then generates out-of-care lists that allow health center staff and county health department disease intervention specialist staff to confer about how best to support and engage newly diagnosed patients who have been linked to care, newly diagnosed patients who are not in care, and previously diagnosed clients who are not in care. Representing one of the participating Florida health centers, Douglas Steele and Tashara Hodge of Care Resource Community Health Center discussed their approach to the P4C project. They highlighted their efforts to create a sustained systemic approach to HIV care by supporting and enhancing workforce development, infrastructure development, service delivery, and partnership development. Read other posts about the P4C project. We're committed to sharing the lessons, tools, and other resources resulting from these investments from the SMAIF to help other health departments, CBOs, health centers, and communities sharpen and strengthen their efforts, too. We do so through workshops like this one, sharing information via the SMAIF pages on HIV.gov, and through blog posts. See a related blog post about a toolkit for health centers interested in expanding HIV services. The toolkit features lessons and resources from participants in the P4C project. In the coming weeks, we'll share highlights from another session that featured SMAIF-supported activities to increase the use of biomedical interventions among racial/ethnic minority gay and bisexual men to reduce new HIV infections and improve health outcomes.